South African low cost airline 1time is about to lauch five flights a week (start: Aug 2010) between OR Tambo International Airport in Johannesburg and Mozambique's capital Maputo. 1time's best fare comes in at less than R1300 return, while SAA is currently charging between R2600 and R3000 return. 1time is continuing to focus on expanding into the region, with plans to add Zimbabwe and new routes in Zambia to its growing network. Comair Limited, operator of British Airways in South Africa and Kulula, is about to launch five flights a week between Johannesburg and Dar Es Salaam in Tanzania. British Airways will be operating the new route and the flights will also be integrated and sold through the Kulula distribution network. Bookings for the new Dar es Salaam route will go on sale from 1 August 2010, the service will start on 02 Nov 2010. You may have all seen the pics of the Southern Right Whale breaching onto a yacht off the coast of Cape Town. CNN, however, got some video footage of the incident. Namibian tourism info service tourbrief.com is reporting that all guides who are not in possession of valid work permits are currently being stopped at Namibian borders. This is having a particularly serious impact on overlanders. It is vital that all non-Namibian guides have valid work permits before departing for the Namibian border. Didn't this happen last year as well? UPDATE (17 Aug 2010): Tourism Update is reporting that South African tour ops are still struggling to obtain the temporary visas they need to travel with tourists in Namibia and that the Namibian Ministry of Home Affairs is reportedly still struggling with a great backlog when it comes to issuing visas. Ignoring these details will result in delays to applications. UPDATE (28 July 2010): via namibian.com.na "During the past two weeks about eight overlander trucks and busses wanting to enter Namibia from South Africa were stopped at Namibia's borders due to temporary visas that had not yet been issued. This is the second time this year that this problem has occurred. At the end of January over 40 overlander trucks and busses were stopped at the borders, with some even having been turned back." South Africa's outdoor mag Getaway selected their five top backpackers in South Africa. Read more on Five top backpacker’s spots in South Africa or have a look on the map below. Mozambique has expanded Gorongosa National Park by about 10 percent to 4,067 square kilometres and created a "buffer zone" of 3,300 square kilometres around the park in which the local population is only allowed to limited farming, hunting and mining. The park is located in central Mozambique and once had one of Africa's densest wildlife populations. Around 95% of the wildlife in the park got killed during the 15-year civil war in Mozambique, which ended back in 1992. Over the last couple of years wildlife groups have begun reintroducing animals into the park, so that the government hopes that Gorongosa National Park will now become one of the major tourist attraction of Mozambique. The story behind "The Lion Sleeps Tonight"
The BBC is currently running a podcast series about "The greatest hits of the world". In part two of the series BBC's Paul Gambaccini looks at the song "Wimboweh" or "The Lion Sleeps Tonight" by South African songwriter Solomon Linda. The song, written in 1939, is estimated to be worth $16 million by today, but Solomon Linda was paid a one off fee of 10 shillings and he died in poverty in 1962... So what is the story of the search for social justice behind the song? "Dear Old Gaol friends... this is it. We are closing our doors. Come and join us on Friday 23 or Saturday 24 July for a final beer in the Gallows pub! Bring your memories with you. If you need any more info or if you want to contribute/ perform in any way please email us brianpeltason[a]gmail.com or elviravannoort[a]gmail.com or give us a call on 083 982 59 66. Old Gaol Backpackers team "
Up to 50% of flights into Paris Orly (ORY) and around 20% of flights into Roissy Charles de Gaulle (CDG) airport may be cancelled due to a strike by air traffic controllers beginning Tuesday (20 July 2010) evening and lasting until Thursday morning (22 July 2010). According to carrier Air France all its long-haul flights were scheduled to run normally Wednesday, 21 July 2010. It said 80 percent of short- and medium-haul routes would operate at Charles de Gaulle, while half of short- and medium-haul flights would run at Orly. So if you are flying via Paris during that time make sure that your flight is not cancelled (or delayed), check your flight's schedule and/or contact your airline. According to news24.co.za Mozambique has increased visa costs by up to 1000%. Temporary residence permits now cost R5 300 and permanent permits R6 700 against R500 for both previously. Tourist visa prices at borders increased from $25 (R190) to $82 (R615) on 06 July 2010. These visas were only valid for 30 days. UPDATE: According to Tourismupdate (via ATTA) the increase is currently only applicable at some borders. Most airports are still working on between USD 25 and USD 30 pp as they don't yet have the technology required for the new visas. The new fees are currently enforced at Maputo (Malavane) Airport and the Komatipoort border. The annual Sardine Run in South Africa has finally begun. The first major shoals were at spotted at Margate beach in the countries Southcoast region. 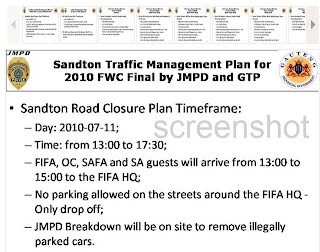 Update (27 July 2010): Check the gallery on Times LIVE! The "run" or migration of sardines begins off the cool waters south of the African continent where they form into hundreds of large swirling shoals. The sardines then run north east into the warm waters of the Indian Ocean along South Africa's KwaZulu Natal province. This mass migration is known to be the Greatest Shoal on Earth. Check out www.sardinerun.co.za for Sardine Festival activities and celebrations. Hostelworld is currently releasing a series of podcasts about South Africa. In the latest episode Hostelworld.com's Colm Hanratty speaks to Lebo Malepa of Lebo's Soweto Backpackers to discuss the famous township of Soweto, find out what you can see there and much more. British scientist from the Zoological Society of London (ZSL) and Cambridge University found out that African National Parks have seen populations of large mammals decline by up to 59% between 1970 and 2005. According to a study published in Biological Conservation the scientist created an index of change in population abundance for a multitude of species in 78 protected areas throughout Africa. The results of the study vary from region to region. Populations are increasing in southern Africa, declining by more than half in East Africa and 85% declines in West Africa. Despite the severe losses, the rate of decline has slowed over time, indicating that management of the National Parks has been gradually improving. Zone d'orangeades - famous for its three bays, first military base in the country, now converted into a sanctuary, rich biodiversity of plants and animal species. South Africa National Parks (SANParks) announced the construction of a bush camp and, in a second phase, the development of ten to twelve camping sites in Camdeboo National Park in the country's Eastern Cape province. The development of the bush camp will involve the erection of four to six safari-style tents on fixed wooden decks at the Park’s existing Gannalapa facility. The tents, which will accommodate two people each, will be provisioned with rustic furnishings including beds and bedding. The campsite will be erected in Acacia woodland area adjacent to Gannalapa. Due to a rising demand from visitors for camping and caravanning facilities SANparks has decided to develope accommodation facilities in the park. The five East African nations (Kenya, Tanzania, Uganda, Rwanda & Burundi) that agreed on a work plan to pilot a single visa for East Africa back in March 2010 "are (now) nearing agreement to collapse their borders so that foreigners will need only one visa to travel to any of the five", NYtimes.com is reporting in their issue from 02 July 2010. 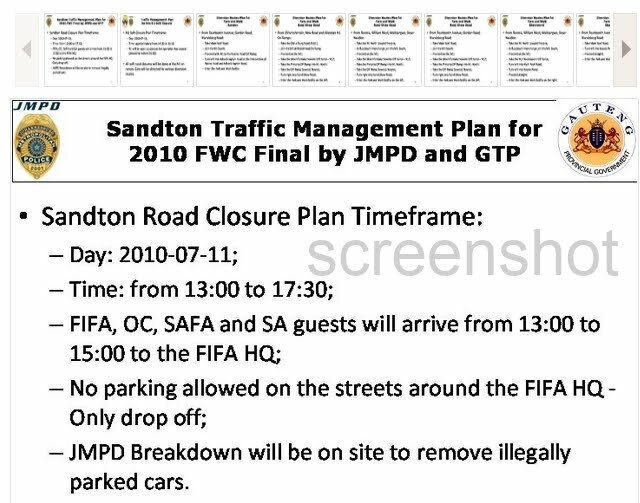 The original plan was to implement the trial phase in June 2010 already, but it seems it might take a little longer. Whether you're a hardened African veteran or a wide-eyed first timer, this is a continent that cannot fail to get under your skin. Our 12th edition of the Lonely Planet Africa Guide takes you on a Serengeti safari, reveals the best spot to view Victoria Falls and tells you where to see surfing hippos. Whether you're after big-name highlights or lesser-known adventures, this guide has got it all covered. Digital Chapters: buy and download individual chapters from this guidebook (PDF format). 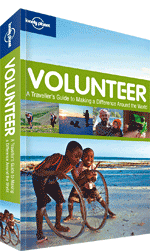 The guide book (print version) is also available in the TravelComments.com eShop! Late in 2009, African Dope teamed up with the renowned satire artists, "Laugh It Off". They put a link in their annual magazine for people to download the music, and now African Dope is passing that link on to you :) Enjoy the beats, some of which are from African Dope artists and some from artists that African Dope Publishing represents.